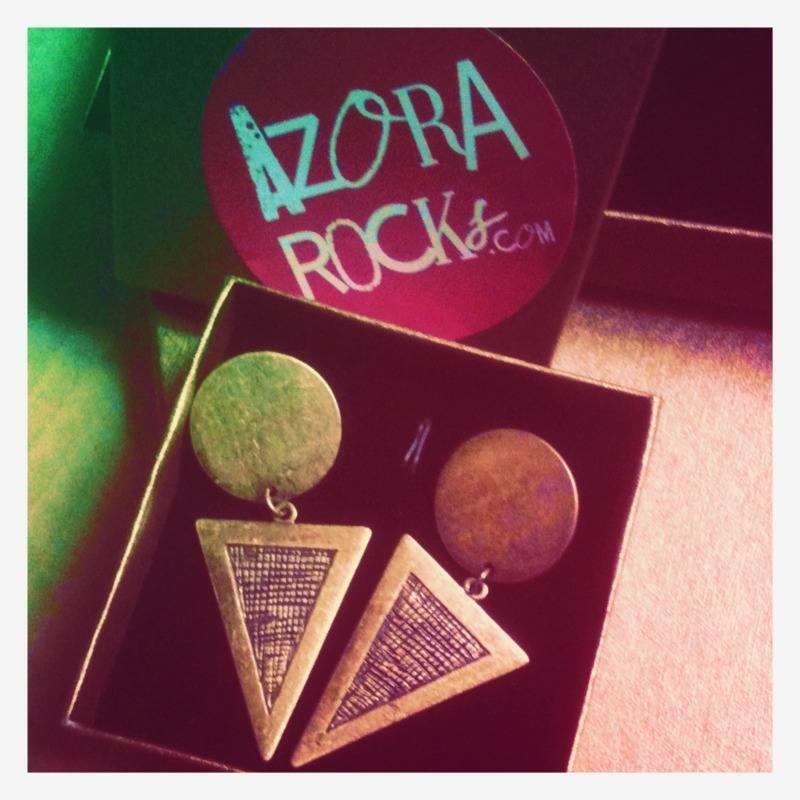 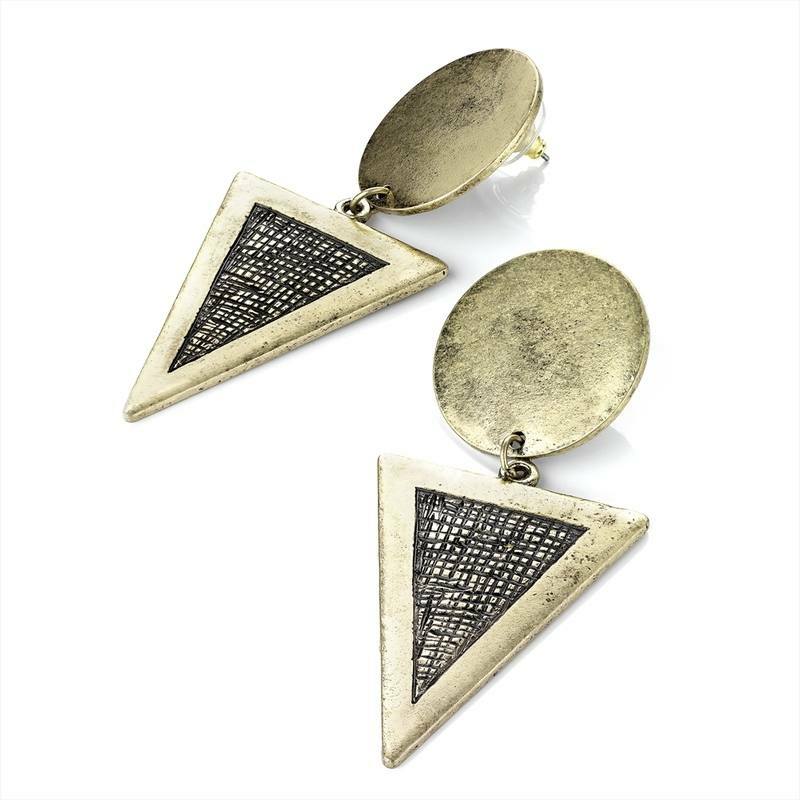 Egyption triangular inspired earrings with brass pyramid shapes & crosshatched design. 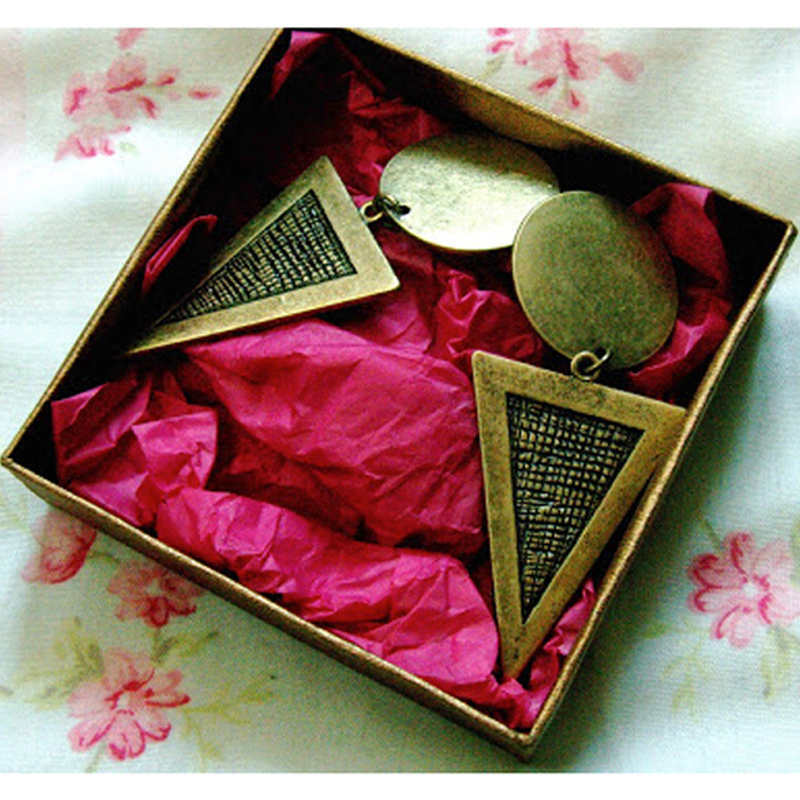 Earrings measure 4cms. Surgical steel ear posts.